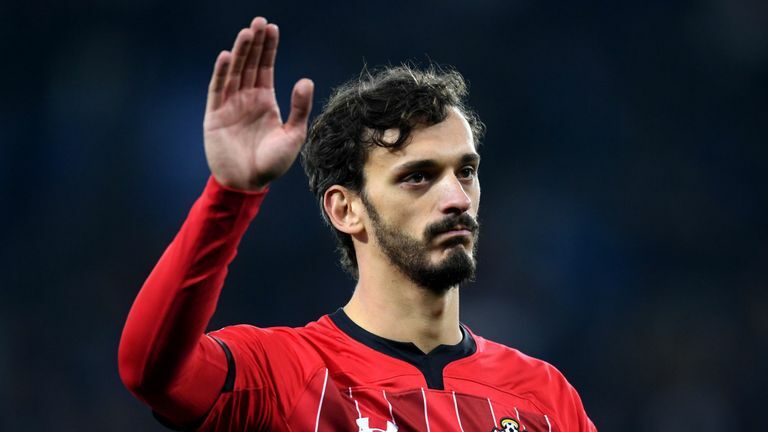  Home › Transfer › Agent: "Southampton Will Regret Losing Gabbiadini"
Agent: "Southampton Will Regret Losing Gabbiadini"
Manolo Gabbadini's agent says Southampton will regret losing the Italy striker. Samp have agreed to re-sign Gabbiadini on loan with a €12million (N5billion) obligation to buy from Southampton. He felt good at Sampdoria and wanted to go back home. We wouldn't have gone anywhere on loan. It was his will to cut the cord with Southampton, although he had a great time there. He also discussed tactics with Sampdoria and I'm sure he'll carve out a place in the team. He's a good player and, in my opinion, one of the best strikers in Italy.